A good example by JR Gaunt, London on slider circa 1953-58. 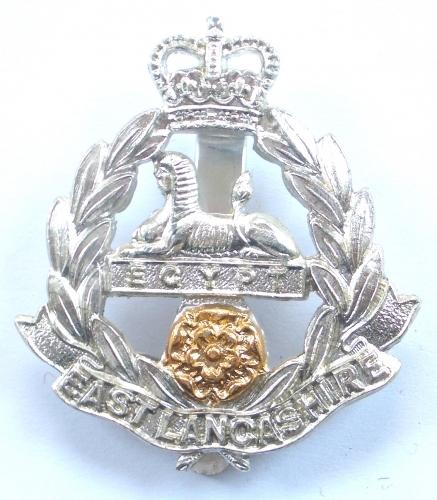 1958 amalgamated with South Lancashire Regt. to form The Lancashire Regiment (Prince of Wales Volunteers).